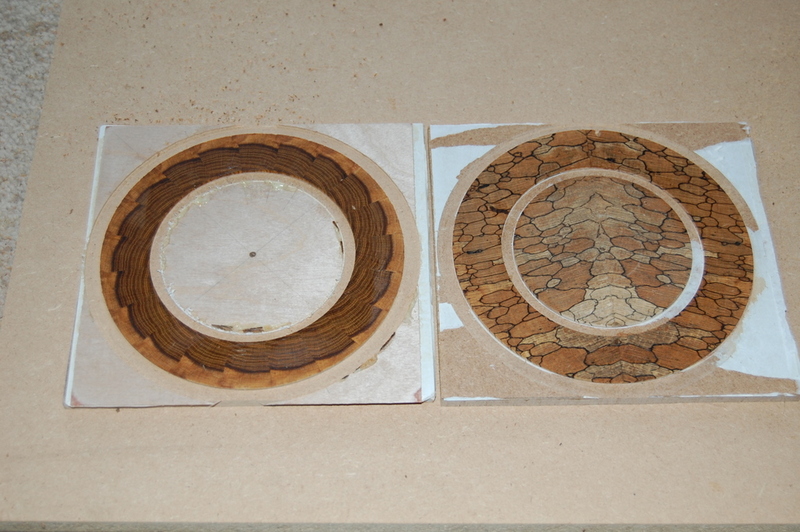 Here are the two rosettes that I’ve talked about in early posts in this series cut out. And here are a few more. 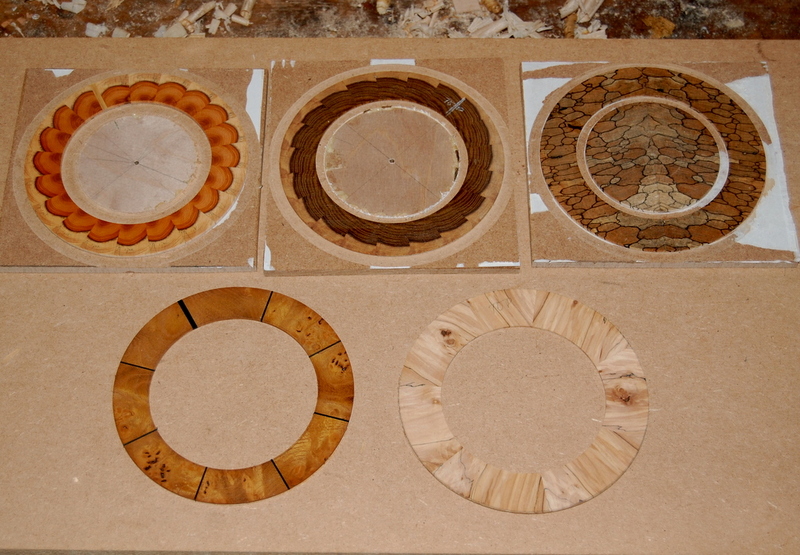 Going clockwise from top left, they’re made of English yew, laburnum, spalted beech, spalted crab apple and mulberry burr. 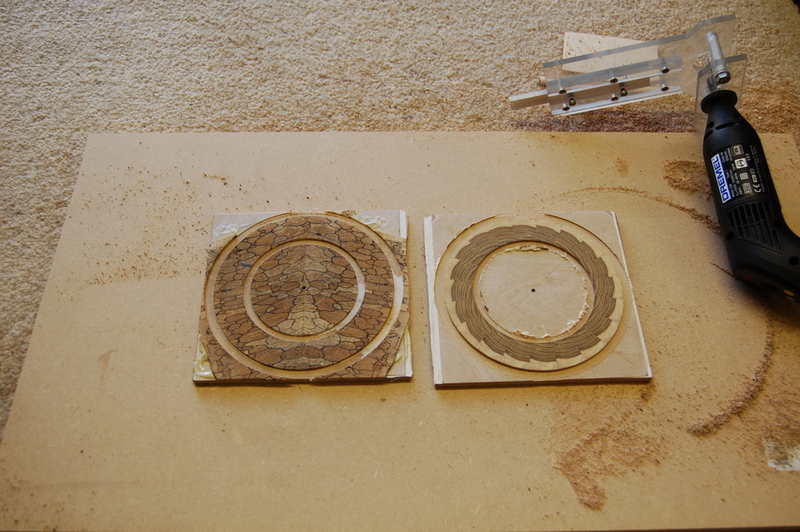 It’s probably best to leave them attached to their base until you’re ready to install them on the soundboard but, as you can see from the two rosettes at the bottom, I don’t always heed my own advice. I was catching up on the last few posts. Your work is so clean and tight! It is a delight to look at. The Tartini piece was lovely. I imagine it is a great thrill to hear your own instruments being played so beautifully. How kind of you to comment. Yes, quite right – always a thrill to hear an instrument one has made being played well. 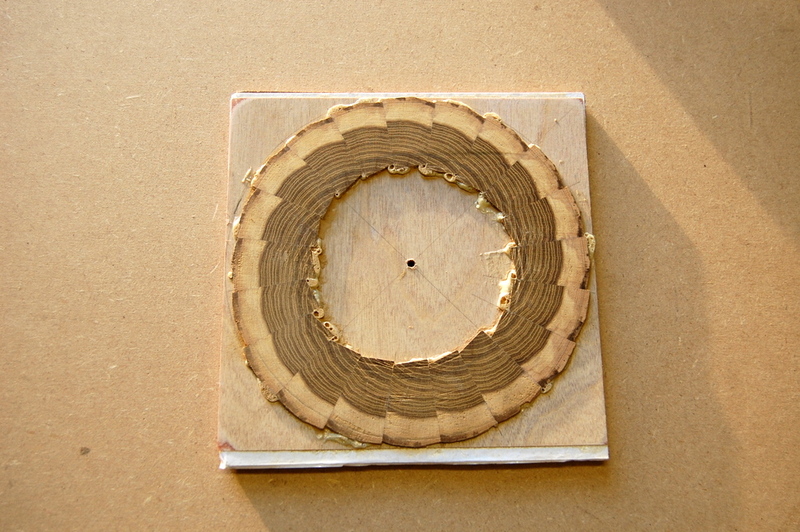 Coincidentally I Make rosettes in the same way for years, I usually use spalted elm.